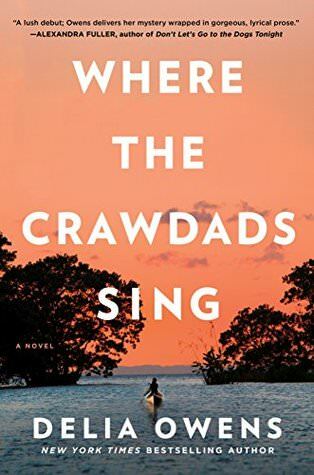 I was worried Where the Crawdads Sing would be a beautiful, but boring book, but I couldn’t be more wrong. The writing is gorgeous, the story is propulsive, and it’s 5-star immersive. When local star quarterback Chase Matthews is found dead, suspicion falls on Kya Clark (the “Marsh Girl”), who is not at all who the town residents think she is. This book came to me unsolicited from the publisher and it’s North Carolina marsh setting intrigued me (i.e. made me think of Pat Conroy just a bit). Where the Crawdads Sing is a bit of a genre mash-up. There’s a coming of age element, a mystery, and a bit of romance that I did not expect from this book, but that totally worked for me. I was completely immersed in this story from start to finish. I read it quickly and looked for every opportunity in the day to pick it up. There’s a bit of a Sweet Home Alabama (the movie) feel to certain parts of the story. The story is told in dual timelines…one starting in the past and working forwards and one in present day. I love how this structure kept the story moving by keeping you wondering how the characters got from point A to point Z.
I had somewhat muted expectations going into Where the Crawdads Sing and it defied everything I thought it would be. I knew Owens was known for her nature writing, which I thought would be beautiful, but boring. She did write beautifully about nature, animals, and marsh life, but it wasn’t boring at all. It fit with the story, conveyed what the marsh meant to Kya, and how it shaped her into who she was. And, the story was much faster-paced than I expected. As always, the ocean seemed angrier than the marsh. Deeper, it had more to say. Not surprisingly, the marsh setting comes alive and feels like it’s own character in the story. I also expected Kya to be a weird and unrelatable character…eccentric and “woo-woo.” But, Owens does a great job of letting her have thoughts and feelings that most regular teenage girls have. She just had some different layers over top as a result of her background and living alone in the marsh. She’s dealing with feeling like an outsider, prejudice from the town residents, surviving on her own, love, and heart-break. She’s incredibly likable and I was rooting for her. Some plot elements should have felt cliche (they’re out of a rom-com), but they didn’t. I was totally sucked in. I waited a week after finishing this book to write my review and I’m still thinking about this story. More layers keep materializing. There were a couple plot choices at the very end that I thought were overkill. The story didn’t need them and I almost felt like the publisher might have pushed the author to add them to make the plot even more intricate. She feels the pulse of life, he thought, because there are no layers between her and her planet. I’m reading this now (30% in) and really liking it. It’s a little heartbreaking in parts with Kya but I can’t wait to get back to it when I’m not reading, always the sign of a good book! It’s definitely heart-breaking at times! And I felt the same way – it just kept pulling me – always a good thing! Great review! I’m sometimes wary of nature-heavy books, but I did love Our Endless Numbered Days so thanks for that comparison. We’re definitely on the same page with this one! 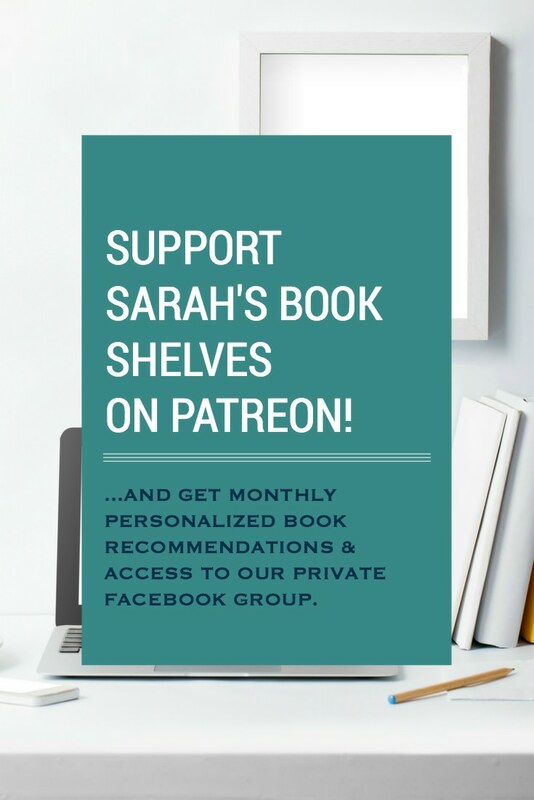 I’m starting this today–looking forward to it! I’ll be interested to see how the marsh setting works for me because it’s not the kind of place I find very appealing. I don’t particularly love books with a southern setting and I think that’s why the cover of this one hasn’t grabbed me. Your review makes me think I might enjoy this though. I like books with dual storylines, I could be in the mood for a rom-com like romance, and the ‘marsh girl’ sounds like a great character. I’m with you on the plot overkill at the end. It’s what kept this from being a 5 star book for me. Beyond that, you are exactly right- it was a mashup of multiple genres and where it could have gone really wrong it didn’t. I think it’s due to Owens’s writing. I highlighted so many passages of text! I downloaded this from EW when you posted how much you loved it. It’s in my reading plans for the near future! I just ordered this one. I didn’t think I would be interested in it but after reading so many glowing reviews and trying a sample, I can’t wait to read it. I felt the same and it was totally worth it! I love that this is one of your most recommended books of the year!!! It may be one of my favorite books of all time! I listened to it on audible and may go back and reread it. We are discussing in book club this week and I can’t wait!